Our Used clarinets are completely overhauled and upgraded with the RMS Artist Overhaul. Click on the photos below to see the clarinet in detail, and check back as our used clarinet inventory is constantly changing! The clarinets are not listed in any particular order, so scroll to the bottom to see everything! No used inventory at present. Check back soon! 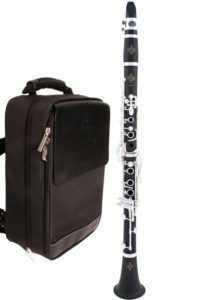 On Sale clarinets are new instruments (which carry the Buffet warranty) and have either been used as a demo at a trade show or have slight physical imperfections. All instruments in this section are sold as-is and are a tremendous value. 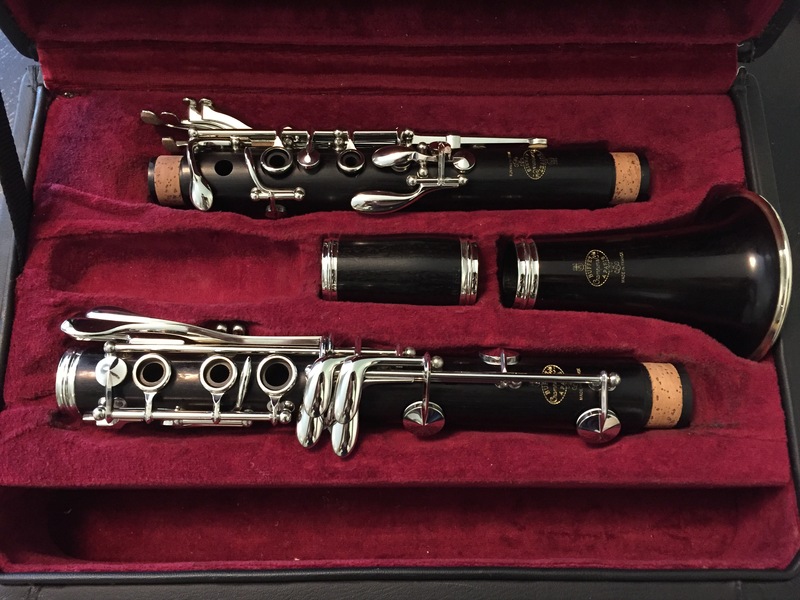 We also recommend the RMS hand-selected and professionally adjusted Buffet E12F clarinet ($2,268) for those requiring an excellent instrument who but are on a budget. This semi-professional model is made of Grenadilla wood, has silver keys and white leather pads. You can read more about purchasing a new E12F here. Wood is fully cleaned and oiled. Keys and posts are cleaned and polished. Tenons are replaced (as needed). All pads are replaced to improve response and evenness throughout the entire instrument. We use a combination of synthetic and leather pads. We prefer and recommend the pad combination we use, but we can use traditional cork pads instead of synthetic pads upon request. All bumpers are replaced with more durable and reliable materials for optimal mechanism performance. Tone holes are resurfaced (as needed). Springs are replaced (as needed). Throat G♯ and side F side keys are modified where they reach the instrument’s body to achieve proper contact with the body. Tones holes are resurfaced (as needed) to guarantee an optimal seal. Final play testing of the clarinet and final adjustments are made. Contact us at info@rodriguezmusical.com or 470-545-9803.